Things got a little weird in the American motorcycle industry after World War II. People hungered for new motorcycles, buying just about everything manufacturers could build. But on rare occasions a manufacturer produced a machine that nobody wanted. Such was the case with the Harley-Davidson Model K. The Model K had most of the features buyers wanted in a modern machine, like hand-operated clutches, foot-operated shifters, and cool-running aluminum heads, but it lacked perhaps the most important technological upgrade: a modern overhead-valve valve-train design. The Model K retained the antiquated side-valve design because of arcane AMA racing rules written when Harley-Davidson and Indian competed head-to-head on American racetracks, but by 1952 Indian was on its last legs. This should have made the Model K a massive sales success. What nobody counted on was the British bike invasion. Thanks to their modern overhead-valve engines, the lightweight British bikes humiliated the side-valve Harleys on the track and on the street. Upgrades to the Model K didn't help; Harley finally relented and introduced a new overhead-valve middleweight for the 1957 model year. Dubbed the Sportster, it was everything the Model K was not. More importantly, it was faster than the British competition. Thus began the Sportster's sixty-year reign. Harley-Davidson Sportster: Sixty Years tells the complete Sportster story. 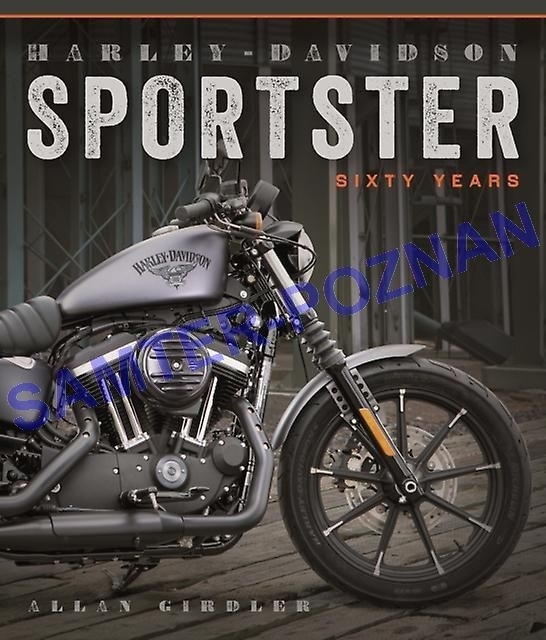 Noted Sportster expert Allen Girdler covers all the bikes--the XLCH, Café Racer, XR1000, XLX, 883, Iron, Forty-Eight, Seventy-Two, and Nightster--that have made the Sportster one of the most iconic motorcycles on earth.